Free camping will be provided to participants from Friday to Monday morning. The camping area is next to the concert hall and a free Sunday breakfast will be offered to the ones who will book their stay. Last, but not least, the organizers would like to bring new life to the old tradition of the "Clog dancing". 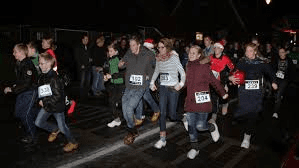 Therefore, of Friday 26, the 1st Shoe Race will take place in the streets of Oelegem. It is open to all ages, from 6 years old, all skill levels. Free wooden shoes can be borrowed for the race if booked. For further info see the Festival website or Bluegrass in Belgium.